Hackney Council is poised to become a property developer to staunch the gaping hole in the availability of affordable housing in the borough. A consultation launched on 27 March asks local residents their view on the Town Hall’s plans to “set up a local housing company to deliver new homes, with the advantage that the company would operate under different regulations and financial rules and could enable more homes to be built”. The restrictions on local authority borrowing create difficulties for any council wanting to borrow money to build new flats. Setting up a company is a way round this problem, and Hackney Council hopes this mechanism will enable it to reach its target of building 3,000 new homes over the next 10 years to help deal with a situation it describes as a ‘crisis’. Three in four Hackney residents rent rather than own their homes, and private-sector rents have gone up by over a third over the past five years alone. At the same time the number of people living in the borough is also on the increase; 55,000 additional people have moved to Hackney since 2011, and the population is set to top 300,000 in ten years’ time. This makes it all the more important for the local authority to grow the social rented sector. The company the council is to set up will aim to build homes let at affordable London Living Rent rates, thus increasing the social housing stock. At a scrutiny meeting on 5 April, council officers confirmed that plans were in place to set up the company “by the end of the year”. 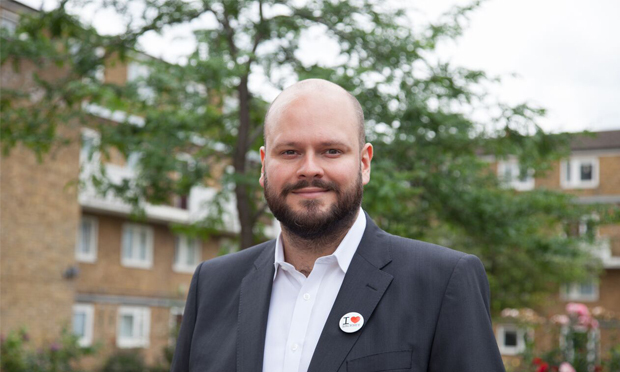 Mayor Philip Glanville, who has made housing one of his highest priority issues, said: “My vision is a Hackney that works for everyone. That’s why we’re developing a new housing strategy that helps more families have the homes they deserve. “It will set out the huge challenge in front of us, and the priorities and actions the Council and its partners can take over the next five years to help meet those challenges – such as building on our track record of delivering thousands of genuinely affordable homes, innovative ways to help residents priced out of the market onto the housing ladder, and improving our ability to tackle poor standards and practices by private landlords and letting agents”. The council’s ambitious new venture is sure to become one of the Labour party’s flagship policies in the run-up to next year’s local elections. There are currently 12,000 households on Hackney’s waiting list for council flats, and a further 2,800 homeless households living in temporary accommodation. Owner occupiers comprise 26 per cent of the borough’s households, private renters 30 per cent and renters in social housing make up 44 per cent of the total. The housing strategy consultation is open until 22 May.